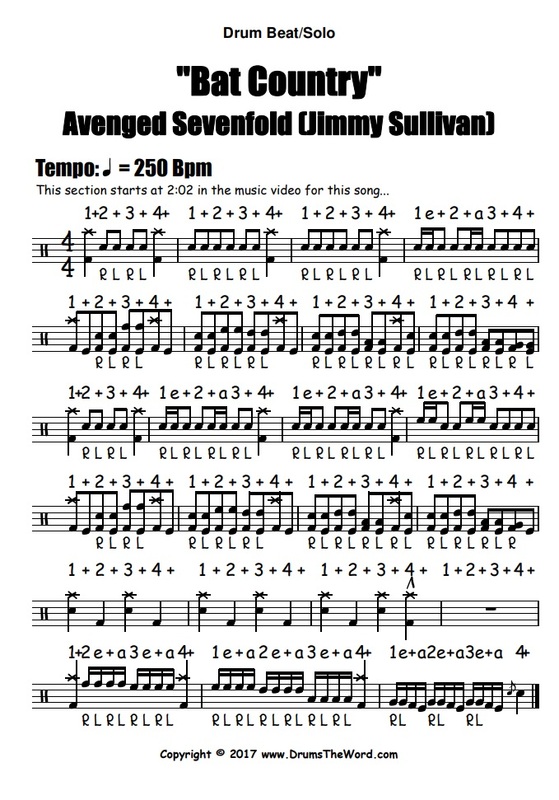 In this free drum lesson, I want to show you how Jimmy “The Rev” Sullivan played a cool drum solo section from the song “Bat Country” by Avenged Sevenfold. Jimmy came up with loads of bombastic beats and fills so it was difficult for me to choose just one section, but the part that starts at 2:02 is definitely my favourite from the whole song. 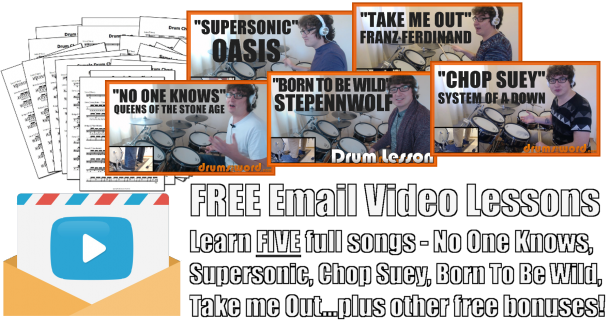 It features lots of double bass drum, the herta (my favourite hybrid rudiment!) and double bass drum quads…basically everything a heavy rock/metal drummer loves!